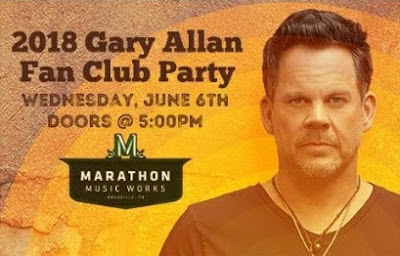 2018 Gary Allan Fan Party On Sale Today! The party will kick-off CMA Fest on Wednesday, June 6th at Marathon Music Works at 6 PM. Doors will open at 5 PM.